Dietary supplement from Fish Hydrolyzed Collagen from France and Hydrolyzed Collagen Dipeptide from Japan. Assists with supplying protein from collagen to the skin, bones, and joints. - It is recommended to consume a balanced diet consisting of a variety of food from the 5 nutrition groups. - This product is not intended to prevent or cure any diseases. - Not recommended for children and pregnant women. 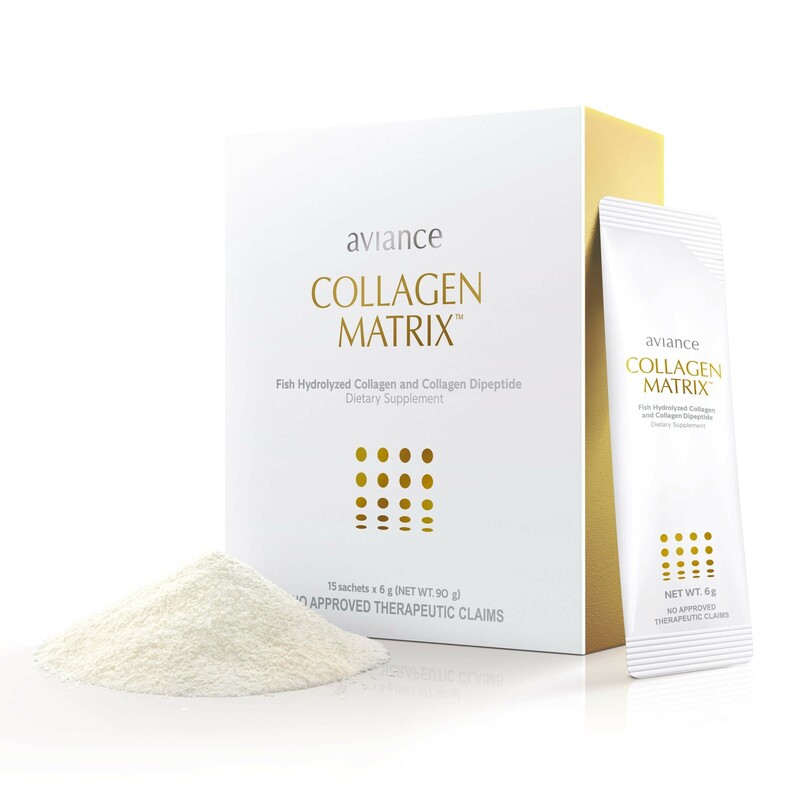 - Avoid this product if you are allergic to fish or collagen. Daily, dissolve 1 sachet (6 g) in a glass of 100-120 ml beverage or mix with your chosen food. Consume instantly.